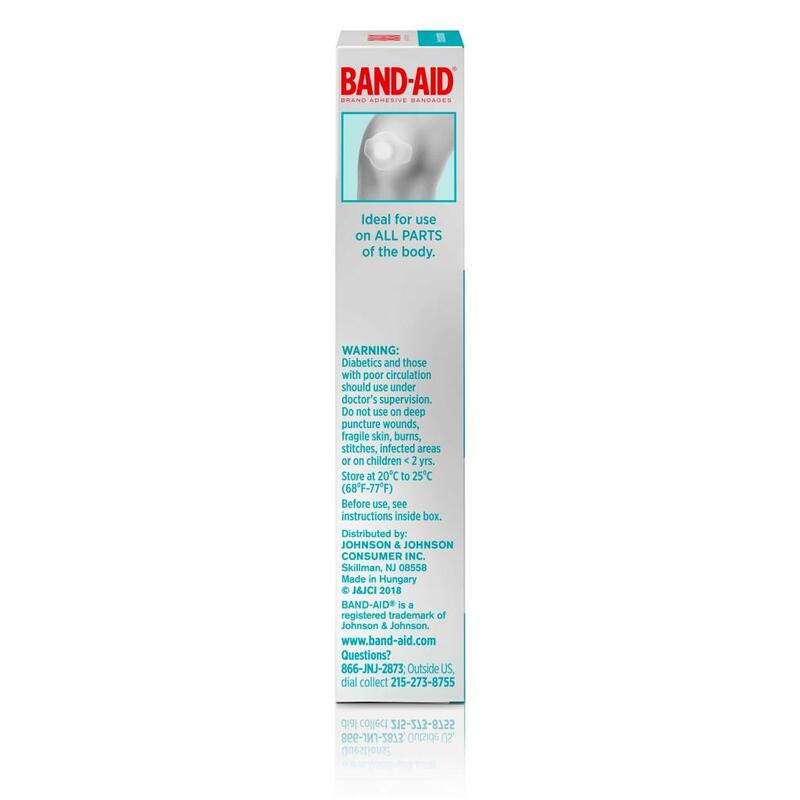 BAND-AID® Brand HYDRO SEAL™ Large Bandages help keep germs out and your body’s natural healing power in. Within 24 hours of application, a white bubble will form under the bandage to show that the healing process has begun. 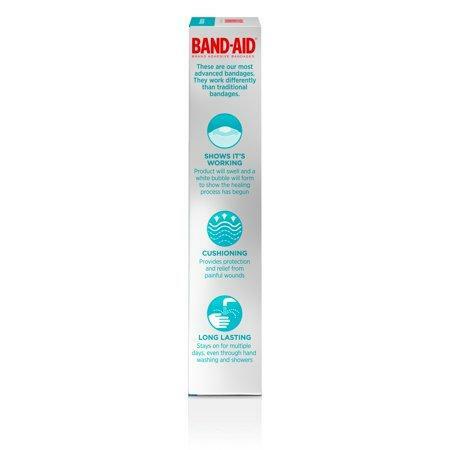 These waterproof bandages provide advanced wound care and cushion to help protect blisters. Cushioning provides protection and relief from painful blisters and wounds. Ideal for use on all parts of the body, the bandages deliver multiday protection and stay on even through hand washing and showers. 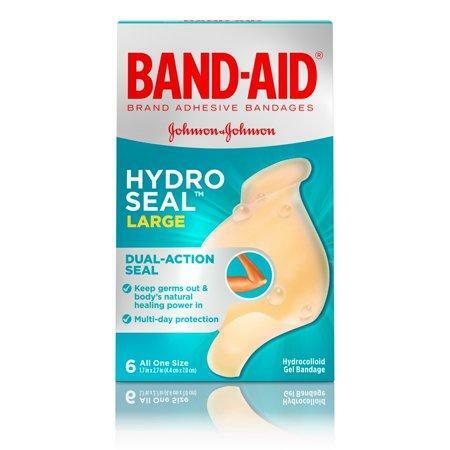 This package contains 6 individually wrapped Gel Bandages, each measuring 1.7 by 2.7 inches. 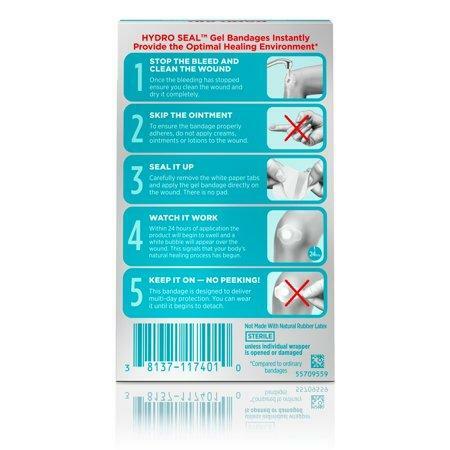 BAND-AID® Brand HYDRO SEAL™ Bandages Large, 6 Count feature 6 benefits in 1 bandage and provide the optimal wound healing environment!